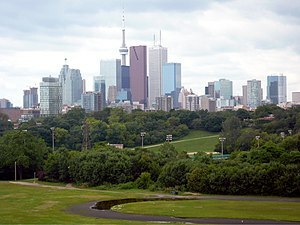 This is the view from Riverdale Park. As I took this picture I thought of life, nature and how man had dramatically changed both. There are kids playing with their dogs in the park, laughter and innocence. The greenery is beautiful. As we enjoy the park, there is the relentless and constant noise from the traffic on the DVP. The big building on the left in the picture is Bridgepoint health centre. It reminds us of the fragility of life, and why everything natural or man-made must end eventually. In the distance is the mountain of cement, brick and mortar that we have chosen to build there. Life and nature are beautiful, and we are constantly struggling to build and maintain what we need whist preserving its natural character. 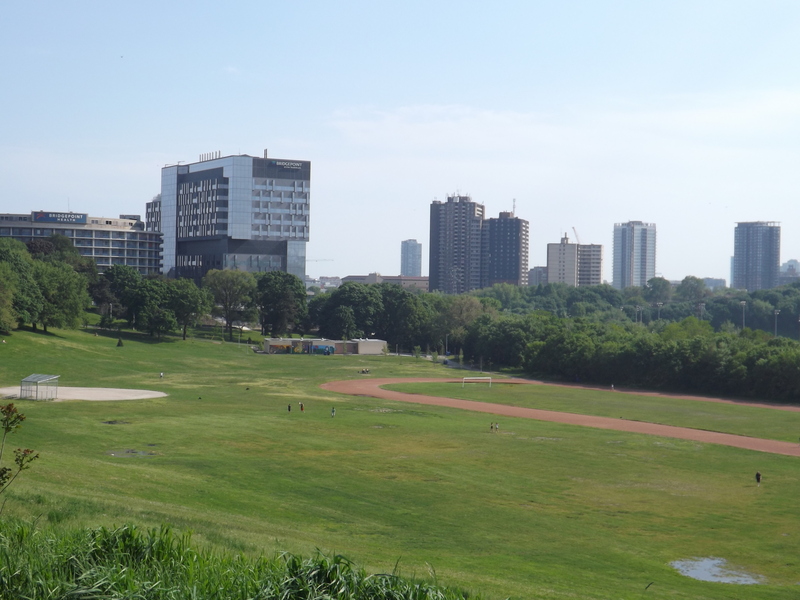 In the continuing struggle between man and nature, we are grateful for Riverdale park, which offers us a place to breathe and be at peace with nature, even for one brief moment. Heya i’m for the primary time here. I came across this board and I to find It really useful & it helped me out a lot. I hope to offer one thing back and aid others like you helped me. Thank you for your comment. I am glad to hear that you were encouraged and my post helped you. All the best.